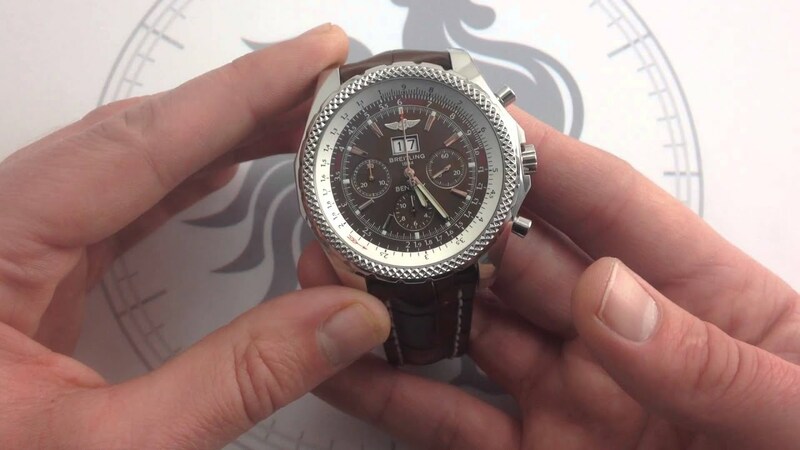 One of the big announcements at this year’s Baselworld watch fair was the alliance forged between two powerhouse tool watch brands: Tudor (part of the Rolex enterprise) and the formerly independent Breitling, now owned by private equity house CVC Capital Partners. Under this arrangement, each will supply the other with items missing from their stock list. Thus, Tudor gains access to the Grenchen brand’s BR01 in-house chronograph, while Breitling receives Tudor’s MT5612 automatic movement, now dubbed the B20, which has been put to use in the new Superocean Heritage II series, celebrating 60 years since the launch of its first “dive watch”. Available in 42mm or 46mm automatic and 46mm chronograph versions, all benefit from a ceramic ring adorning the steel bezel, to minimise wear, as well as subtly updated hands and markers. In addition, the COSC-certified B20 movement now delivers 70 hours of power reserve. All models feature blue, black or bronze finishes and a choice of strap material: crocodile, rubber and a new rubber-leather composite. Alternatively, a mesh strap can be fitted, in line with the 1957 original. 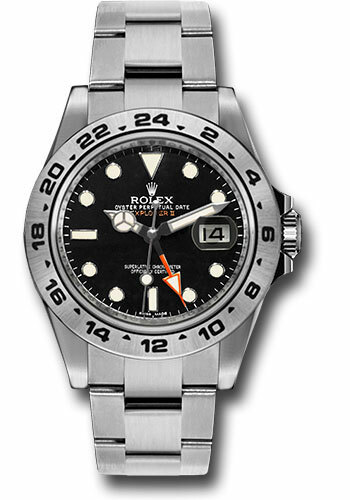 While the Submariner goes into the deep, the Explorer (below) was built to scale mountain peaks, following Sir Edmund Hillary and Tenzing Norgay’s successful ascent of Mount Everest with their Oyster Perpetual timepieces. Since it wasn’t made for deep-sea diving, the watch is waterproof up to 100m, unlike the Submariner’s 300m. This means you can still go swimming with it and do practically everything in your daily life with it. Just no expeditions to the Titanic wreckage, please. Now that we’ve sorted out the basics, let’s look inside the watches. The Submariner here uses Calibre 3130 which is basically the same as the very reliable workhorse Calibre 3135, except it doesn’t have the date function. The previous Explorer also ran on Calibre 3130 but the new version here uses Calibre 3132, which includes the high-performance Paraflex shock absorbers. Both the Submariner and Explorer are certified Superlative Chronometers with a power reserve of 48 hours and feature the proprietary paramagnetic blue Parachrom hairspring. When it comes to aesthetics, the basic models look similar with their stainless steel case, bracelet and black dial. However, the Submariner has a sportier feel, thanks to its uni-directional rotating bezel and slightly larger case (40mm to the Explorer’s 39mm). On the other hand, the Explorer, with its baton indexes and fixed stainless steel bezel, looks more versatile—you can take it hiking but also to a black tie gala. Now for many of us, this is what it really comes down to, isn’t it? For a sports model, you can expect the Submariner to cost more than an Explorer but at about $10,000 for a basic model, it may be slightly out of reach for the average executive. Nevertheless, it’s still one of the most popular Rolex models around and stocks fly off the shelves as fast as Republicans ditch Donald Trump. On the other hand, the Explorer’s $8,770 price tag is a little more manageable for an entry-level piece. Since both the Submariner and Explorer are comparable in terms of movement, the Explorer scores on versatility, value, and the sheer fact that it’s not going to be lost in the sea of Submariners out there. At the end of the day, if this is your first Rolex, get the Explorer. But if you’re looking to expand your collection, a Submariner is an iconic piece you’d want to add to it.